Hidden in plain sight, Raasta Cafe in Jubilee Hills will surely pique your interest right from the moment you walk in. The refreshing wall art and decor stand out even though the place is dark. One entire wall has an art installation that's made out of vinyl records, and I think that's my favourite corner. For some reason, I didn't expect great food but was surprised when my bruschetta was spot on. The hummus and pita were top-notch as the hummus was super fresh. I also tried an array of pizzas here and would definitely go for more. Plenty of cocktails and drinks are on the menu, but I had Bailey's, and my meal was sorted. 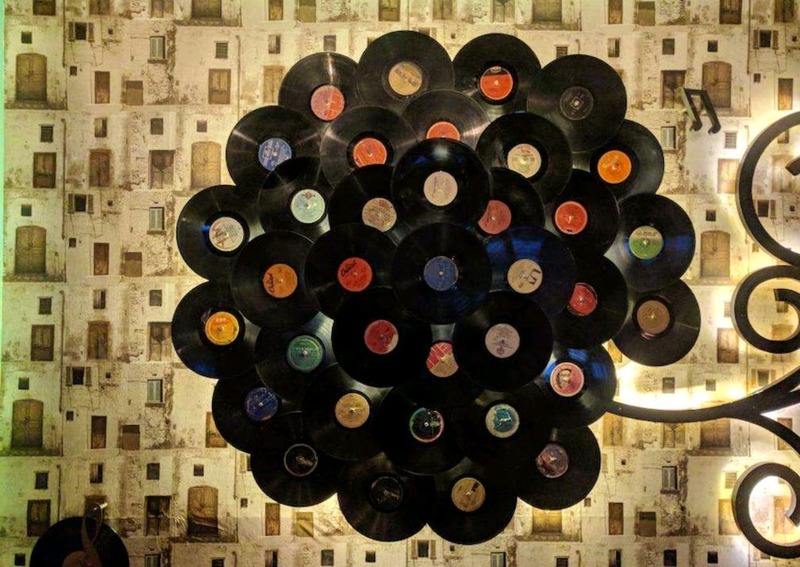 The cafe also has an amazing music scene, and that's a better reason to check out Raasta. The service is slow and the staff is not quite well-informed about the dishes.